Milva Prestia is a Personal Injury Law Clerk at HSH, working closely with HSH Partners, James R. Howie and Brad S. Moscato. Milva graduated with honours from Seneca College with a diploma in Regulatory Law Administration. 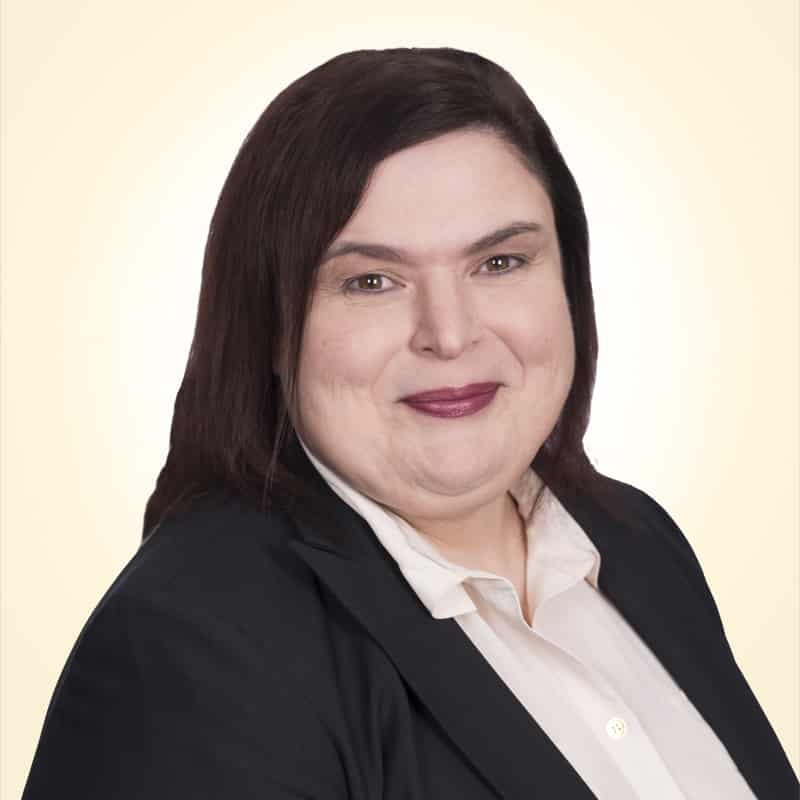 Following graduation in 1998, Milva initiated her career as a law clerk and paralegal and has continued to provide the same dedication, becoming a licensed Paralegal with the Law Society of Upper Canada. Milva also has a Bachelor of Arts degree in Linguistics from York University. She joined the firm in 2017, having worked as a licensed paralegal and accident benefits consultant for other personal injury law firms in Toronto. Milva’s caring nature has been the main catalyst for her, both professionally and personally. It is for this reason that she is diligent and methodical in her work. She possesses an acute eye for detail and does not easily shy away from making hard decisions in her job. amet, adipiscing Aliquam nunc diam dolor.